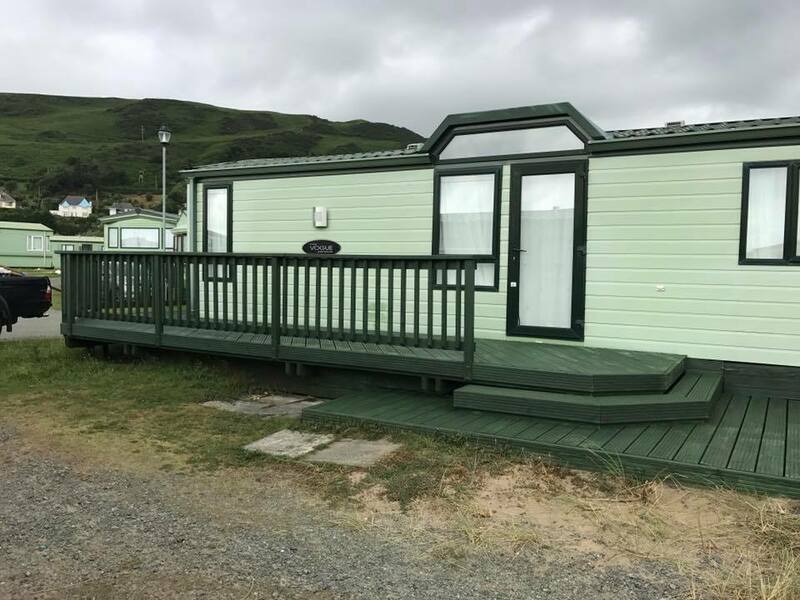 The majority of the decks we build are made using imported and treated softwoods, but every now and again we get a treat and someone asks us to build a deck or balcony from something a little different. Balau is a popular hardwood for building decks, we sometimes use oak and whenever we get the chance well use local timbers from our local timber mill Esgair wood estate. It's great to take locally grown timber, thats been dried and machined up in the woods, down into the valley and build a balcony or decking from something that grew just a few miles away. 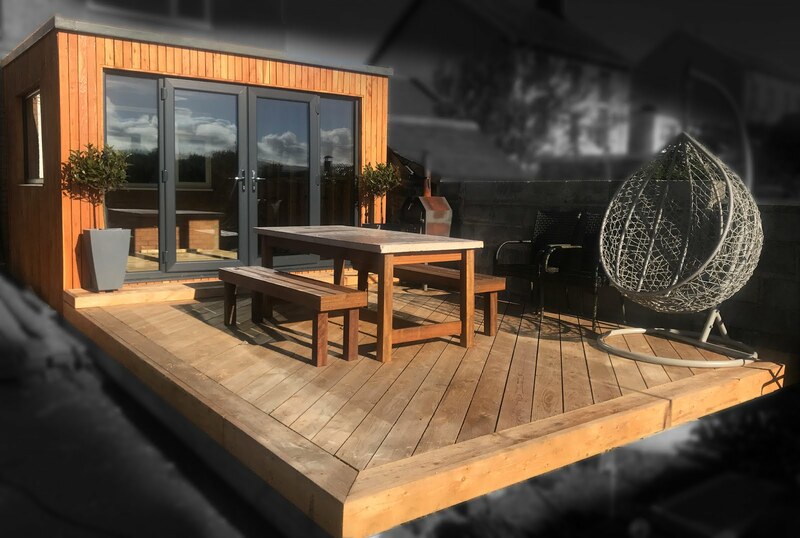 As well as using materials that are especially well suited to the local environment, the environmental implications of reducing carbon miles on building materials is another great reason to use local Welsh timber. Anyway, after all the large scale decks we've built recently, the last couple of weeks have been spent on smaller scale construction projects, including a patio job with a combination of wood and glass railing panels, more about this on my next post. So here's one fresh off the press, a raised Larch balcony, covering a wood-store at this beautiful West Wales cottage near Machynlleth. 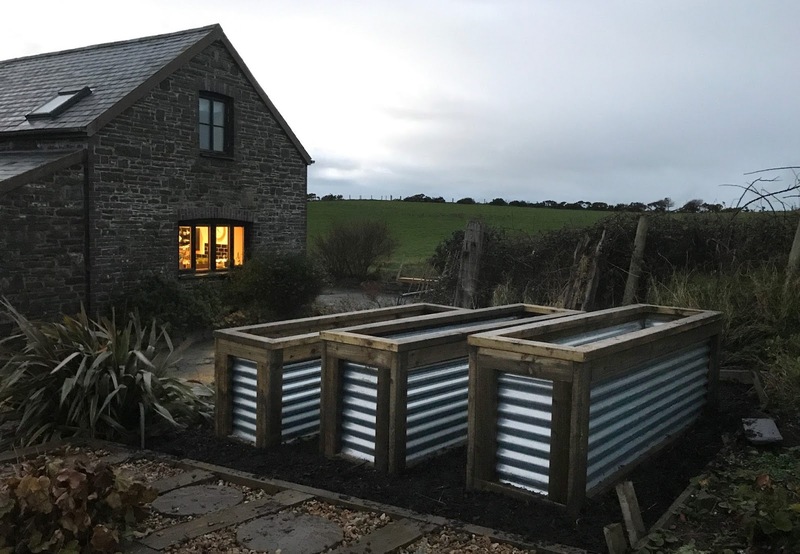 Slightly different construction technique to our usual 'Post and Beam' style, the sub frame and corrugated sheets ensure the logs stay dry underneath the decking. Railings were left open to ensure maximum light was able to enter the house below. If you'd like us to quote for a timber deck, fencing or any other outdoor carpentry work please give us a call. We provide a specialist balcony design and build service all over Wales and parts of England.